PRINCETON, Minn. – For years, Rice Bull Riding Co. has made a name for itself across the Midwest producing world-class bull riding events. Dave Rice has now taken his showcase halfway around the world. 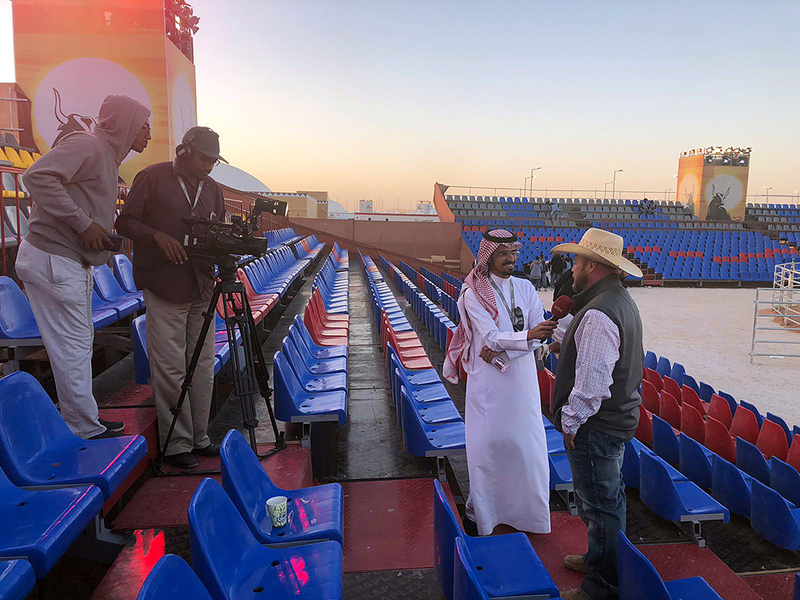 Rice is producing the King Abdulaziz Camel Festival Bull Riding events across Saudi Arabia, and they are gaining popularity each day that he, his crew and a few dozen bull riders are there. Subsequent communications revealed the reality of the situation. In January, a Saudi contact flew to Minnesota to meet and finalize the details of the contract. Two days later, Rice was bound for the Middle East to see the site, meet the Saudi team and figure out how to make the massive venture take place. “I was excited at the opportunity and very worried about how to make it all work,” he said. There were plenty of logistical hurdles to clear. Because of confidentiality agreements, Rice had to find enough bull riders to make the trip. Most didn’t have passports, so he and his staff handled the heavy task of getting 24-hour expedited passports done. Rice returned to Saudi Arabia a month prior to the event and worked with a welding shop there. Even though workers spoke no English, they were able to manufacture the arena in a week. They also manufactured additional pens, alleys and gates, since the bulls needed to stay on site during the festival. “Our biggest challenge was getting the bulls, since they have specific quarantine and lots of import permit requirements in order to be sent to Saudi Arabia,” he said. Curt Check Bucking Bulls was contracted to handle all the purchasing, vaccinations, quarantine and other paperwork necessary. Check and Cody Halverson hauled the bulls from the USDA facility in Illinois to Chicago, where Rice had chartered a cargo plane to fly the bulls to Riyadh, Saudi Arabia. “We had 20 custom wooded crates built to hold the bulls,” Rice said. 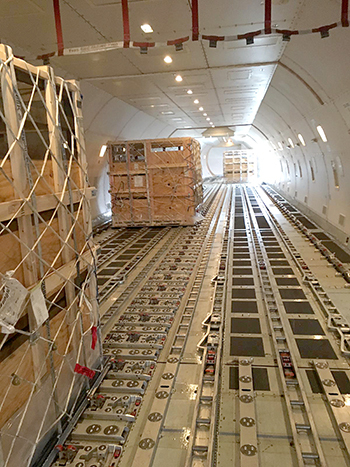 “They loaded three bulls per crate, and they had room to lay down and have access to food for the flight over in a climate-controlled environment of 67 degrees. That should work out fine, since Rice plans to produce more events there. “Having these bulls already here, along with the new arena, will open many new opportunities for Rice Bull Riding Co. here,” he said. The company was founded in 1997 and is operated by Rice, his wife, Christina and son Dalton. It was named the National Federation of Professional Bull Riders’ Producer of the Year in 2015 and ’18. Rice provides a personal experience to each show he produces, having been a bull rider for several years. While oversees, Rice has enlisted the help of 14 staff members: Production crew, bullfighters and entertainers. There are 27 bull riders who are part of the action. It takes a talented staff to pull something of this magnitude together; each performance features pyrotechnics, video and lighting and two large digital screens for replays. From Princeton, Minnesota, to the Middle East, it’s been quite a journey already.